Michael Goldort born in the Russian town of Novosibirsk, followed his guitar studies at the Glinka music institute of his hometown where he graduated in 1991. 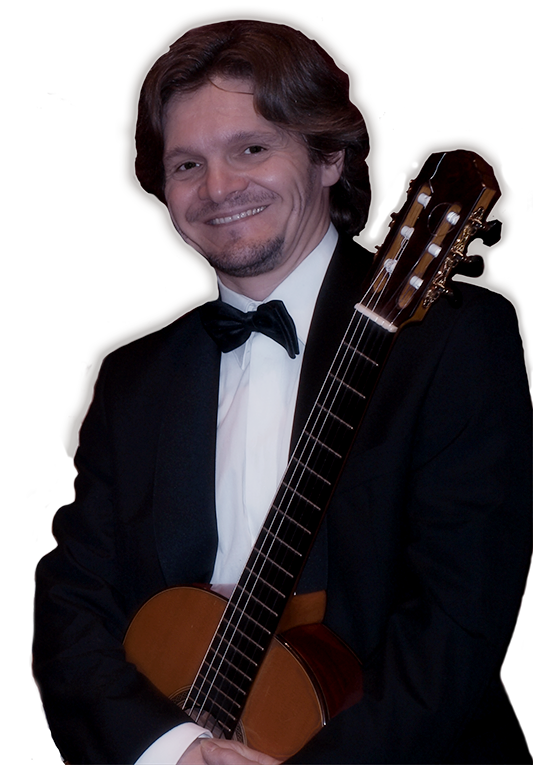 During his studies he regularly made his appearance at festivals in Italy, Germany and Austria and was hailed for his virtuosity by leading guitar authorities like Alvaro Pierri and Heinrich Nussko. From 1989 on he collaborated with orchestras such as the St. Petersburg philharmonic , Kiev philharmonic and the philharmonic orchestra of the town of Alma-Ata. During this time he also toured extensively through Austria , Spain and Italy. After his studies in 1991 he was invited to assist professor Frauchi at the Moscow conservatory of music. After that period he became faculty professor at the Glinka music conservatory of St. Petersburg. In 2005 he settled in Germany where he continuous his profession as teacher and performing artist.